The present invention relates to macromonomers useful in the manufacture of biocompatible medical devices. More particularly, the present invention relates to aromatic-based siloxane monofunctional macromonomers capable of polymerization alone or copolymerization with other monomers. Upon polymerization or copolymerization, the subject macromonomers form polymeric compositions having desirable physical characteristics and refractive indices useful in the manufacture of ophthalmic devices. In general, high water content hydrophilic acrylics or "hydrogels" have relatively low refractive indices, making them less desirable than other materials with respect to minimal incision size. Low refractive index materials require a thicker IOL optic portion to achieve a given refractive power. Silicone materials may have a higher refractive index than high-water content hydrogels, but tend to unfold explosively after being placed in the eye in a folded position. Explosive unfolding can potentially damage the corneal endothelium and/or rupture the natural lens capsule and associated zonules. Low glass transition temperature hydrophobic acrylic materials are desirable because they typically have a high refractive index and unfold more slowly and more controllably than silicone materials. Unfortunately, low glass transition temperature hydrophobic acrylic materials, which contain little or no water initially, may absorb pockets of water in vivo causing light reflections or "glistenings." Furthermore, it may be difficult to achieve ideal folding and unfolding characteristics due to the temperature sensitivity of some acrylic polymers. GB1444110 , WO92/07013 and US5336797 disclose siloxane macromolecules useful for making contact lenses. The macromolecules may comprise phenyl groups linked directly to a silicon atom. y is a natural number. Soft, foldable, high refractive index, high elongation polymeric compositions are produced through the polymerization of the above defined aromatic-based siloxane macromonomers, either alone or with other monomers. The subject macromonomers are synthesized through a two-phase reaction scheme. The polymeric compositions produced from the siloxane macromonomers so synthesized have ideal physical properties for the manufacture of ophthalmic devices. The polymeric compositions of the present invention are transparent, of relatively high strength for durability during surgical manipulations, of relatively high elongation, of relatively high refractive index and are biocompatible. The subject polymeric compositions are particularly well suited for use as intraocular lens (IOL) implants, contact lenses, keratoprostheses, corneal rings, corneal inlays and the like. The aromatic-based siloxane macromonomers of the invention are useful in the production of biocompatible polymeric compositions. The polymeric compositions have particularly desirable physical properties. The polymeric compositions have a relatively high refractive index of approximately 1.45 of greater and a relatively high elongation of approximately 100 percent or greater. Examples of non-siloxy aromatic-based monomers useful for copolymerization with one or more aromatic-based siloxane macromonomers of the present invention include for example but are not limited to 2-phenyoxyethyl methacrylate, 3,3-diphenylpropyl methacrylate, 2-(1- naphthylethyl methacrylate) and 2-(2-naphthylethyl methacrylate) but preferably 2-(1-naphthylethyl methacrylate) for increased refractive index. Rec.= recovery, which is a measure of the ability of a material to recover to its original shape when stretched and is measured as the percentage of recovery. No water, low water having less than 15 percent water content weight/volume (W/V) and high water "hydrogels" having 15 percent or higher water content WN polymeric compositions of the present invention having ideal physical characteristics for ophthalmic device manufacture are described herein. Although the monofunctional siloxane macromonomers of Formula 2 polymerize or copolymerize to form crosslinked three-dimensional networks, one or more crosslinking agents may be added in quantities of preferably less than 10 percent W/V prior to polymerization or copolymerization. Examples of suitable crosslinking agents include but are not limited to diacrylates and dimethacrylates of triethylene glycol, butyl glycol, hexane-1,6-diol, thio-diethylene glycol, ethylene glycol and neopentyl glycol, N,N'-dihydroxyethylene bisacrylamide, diallyl phthalate, triallyl cyanurate, divinylbenzene, ethylene glycol divinyl ether, N,N'-methylene-bis-(meth)acrylamide, sulfonated divinylbenzene and divinylsulfone. In order to produce polymeric compositions of the present invention from the subject monofunctional siloxane macromonomers of the invention, one or more strengthening agents must be used. One or morestrengthening agents are preferably added In amounts less than approximately 50 percent W/V, but more preferably in amounts less than 25 percent W/V, to the macromonomers of the invention prior to polymerization or copolymerization thereof. Examples of suitable strengthening agents are described in U.S. Patent Nos. 4,327,203 , 4,355,147 and 5,270,418 . Specific examples, not intended to be limiting, of such strengthening agents include cycloalkyl acrylates and methacrylates, such as for example tert-butylcyclohexyl methacrylate and isopropylcyclopentyl acrylate. One or more suitable ultraviolet light absorbers may optionally be used in quantities typically less than 2 percent W/V in the manufacture of the subject polymeric compositions. Examples of such ultraviolet light absorbers include for example but are not limited to β-(4-benzotriazoyl-3-hydroxyphenoxy)ethyl acrylate, 4-(2-acryloyloxyethoxy)-2-hydroxybenzophenone, 4-methacryloyloxy-2-hydroxybenzophenone, 2-(2'-methacryloyloxy-5'-methylphenyl)benzotriazole, 2-(2'-hydroxy-5'-methacryloyloxyethylphenyl)-2H-benzotriazole, 2-[3'-tert-butyl-2'-hydroxy-5'-(3"-methacryloyloxypropyl)phenyl]-5-chlorobenzotriazole, 2-[3'-tert-butyl-5'-(3"-dimethylvinylsilylpropoxy)-2'-hydroxyphenyl]-5-methoxybenzotriazole, 2-(3'-allyl-2'-hydroxy-5'- methylphenyl)benzotriazole, 2-[3'-tert-butyl-2'-hydroxy-5'-(3"-methacryloyloxypropoxy)phenyl]-5-methoxybenzotriazole and 2-[3'-tert-butyl-2'-hydroxy-5'-(3"-methacryloyloxypropoxy)phenyl]-5-chlorobenzotriazole wherein β-(4-benzotriazoyl-3-hydroxyphenoxy)ethyl acrylate is the preferred ultraviolet light absorber. To a 1000 ml round bottom flask under dry nitrogen was added D4 (octamethylcyclotetrasiloxane), D4H (tetramethylcyclotetrasiloxane) and M2 (1,3-bis(4-methacryloyloxybutyl)tetramethyldisiloxane (molar ratio of each component dependent on desired chain length and mole % hydride substitution). Trifluoromethanesulfonic acid (0.25%) was added as initiator. The reaction mixture was stirred 24 hours with vigorous stirring at room temperature. Sodium bicarbonate was then added and the reaction mixture was again stirred for 24 hours. 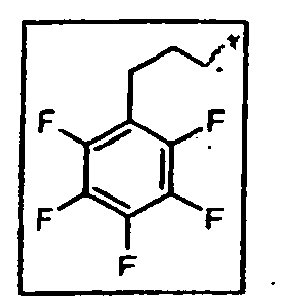 The resultant solution was filtered through a 0.3µ Teflon® (E.I. du Pont de Nemours and Company, Wilmington, DE) filter. The filtered solution was vacuum stripped and placed under vacuum (>0.1mm Hg) at 50°C to remove the unreacted silicone cyclics. 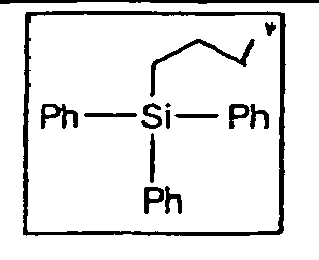 The resulting silicone hydride functionalized siloxane was a viscous, clear fluid. 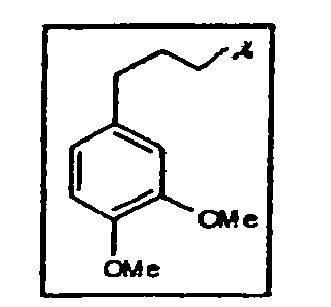 To a 500 mL round bottom flask equipped with a magnetic stirrer and water condenser was added the methacrylate end-capped macromonomer (prepared in Part A above), the aromatic functionalized allylic ether, tetramethyldisiloxane platinum complex (2.5mL of a 10% solution in xylenes), 75 mL of dioxane and 150 mL of anhydrous tetrahydrofuran under a nitrogen blanket. The reaction mixture was heated to 75°C and the reaction was monitored by IR and 1H-NMR spectroscopy for loss of silicone hydride. The reaction was complete in 4 to 5 hours of reflux. 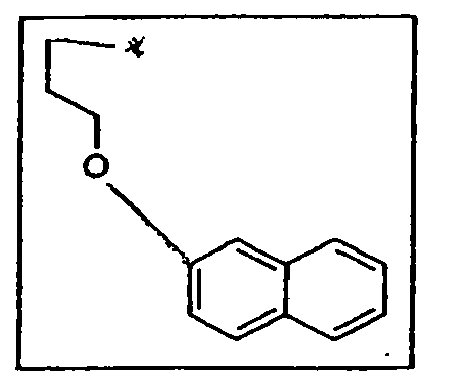 The resulting solution was placed on a rotoevaporator to remove tetrahydrofuran and dioxane. The resultant crude product was diluted with 300 mL of a 20% methylene chloride in pentane solution and passed through a 15 gram column of silica gel using a 50% solution of methylene chloride in pentane as eluant. The collected solution was again placed on the rotoevaporator to remove solvent and the resultant clear oil was placed under vacuum (>0.1mm Hg) at 50°C for four hours. The resulting aromatic side-chain siloxane was a viscous, clear fluid. To 80 parts of a 13/13 [Si(NEM)] macromonomer was added 20 parts of naphthylethyl methacrylate and 0.5% of Irgacure™ 819 (Ciba-Geigy, Basel, Switzerland) as the UV photoinitiator and 0.25% of a commercial triazole UV blocker (Aldrich Chemical Co). The clear solution was sandwiched between two silanized glass plates using metal gaskets and exposed to UV radiation for two hours. The resultant films were released and extracted in isopropanol (IPA) for four hours, followed by air-drying and a 30mm vacuum to remove the IPA. The clear tack-free films possessed a modulus of 222 g/mm2, tear strength of 29 g/mm, recovery of 80% and a refractive index of 1.563. Commercial grade silicone rubber exhibits a modulus of 300 g/mm2, a tear of 50 g/mm, recovery of 81 % and a refractive index of only 1.43. To 80 parts of a 13/13 [Si(NEM)] macromonomer was added 20 parts of methyl methacrylate and 0.5% of Irgacure™ 819 as the UV photoinitiator and 0.25% of a commercial triazole UV blocker (Aldrich Chemical Co). The clear solution was sandwiched between two silanized glass plates using metal gaskets and exposed to UV radiation for two hours. The resultant films were released and extracted in IPA for four hours, followed by air-drying and a 30mm vacuum to remove the IPA. The clear tack-free films possessed a modulus of 1123 g/mm2, a tear strength of 93 g/mm, recovery of 60% and a refractive index of 1.538. The subject ophthalmic devices, such as for example IOLs, may be manufactured to have an optic portion and haptic portions made of the same or differing materials. Preferably, in accordance with the present invention, both the optic portion and the haptic portions of the IOLs are made of polymeric compositions of the present invention. Alternatively however, the IOL optic portion and haptic portions may be manufactured from one or more differing materials and/or one or more differing formulations of the polymeric compositions of the present invention, such as described in U.S. Patent Numbers 5, 217,491 and 5,326,506 . 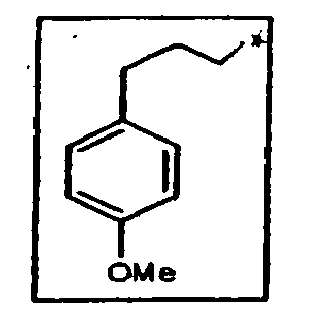 A polymeric composition produced through the polymerization of one or more macromonomers as defined in claim 1. A polymeric composition produced through the copolymerization of one or more macromonomers as defined in claim 1 with one or more non-siloxy aromatic-based monomers. A polymeric composition produced through the copolymerization of one or more macromonomers as defined in claim 1 with one or more non-aromatic-based hydrophobic monomers. A polymeric composition produced through the copolymerization of one or more macromonomers as defined in claim 1 with one or more non-aromatic-based hydrophilic monomers. 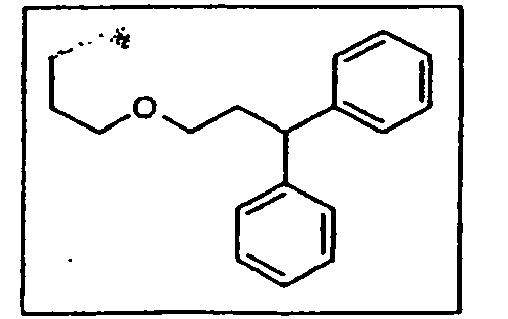 A polymeric composition as claimed in claim 3 in which one or more non-siloxy aromatic-based monomers are selected from 2-phenyloxyethyl methacrylate, 3,3-diphenylpropyl methacrylate, 2-(1-naphthylethyl methacrylate) and 2-(2-naphthylethyl methacrylate). 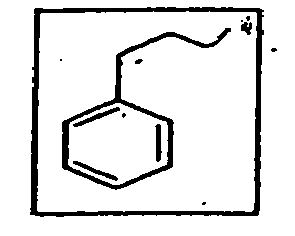 A polymeric composition as claimed in claim 4 in which one or more non-aromatic-based hydrophobic monomers are selected from 2-ethylhexyl methacrylate, 3-methacryloyloxypropyldiphenylmethylsilane and 2-phenyoxyethyl methacrylate. A polymeric composition as claimed in claim 5 in which one or more non-aromatic-based hydrophilic monomers are selected from N,N-dimethylacrylamide and methyl methacrylate. A polymeric composition as claimed in any one of claims 2 to 5 in which one or more strengthening agents are added prior to polymerization or copolymerization selected from cycloalkyl acrylates and methacrylates. A polymeric composition as claimed in any one of claims 2 to 5 in which one or more crosslinking agents are added prior to polymerization or copolymerization selected from diacrylates and dimethacrylates of triethylene glycol, butyl glycol hexane-1,6-diol, thio-diethylene glycol, ethylene glycol and neopentyl glycol, N,N'-dihydroxyethylene bisacrylamide, diallyl phthalate, triallyl cyanurate, divinylbenzene, ethylene glycol divinyl ether, N,N'-methylene-bis-(meth)acrylamide, sulfonated divinylbenzene and divinylsulfone. An ophthalmic device comprising a polymeric composition as claimed in any one of claims 2 to 10. An ophthalmic device as claimed in claim 11 which is an intraocular lens or corneal inlay. An ophthalmic device as claimed in claim 11 which is a contact lens.